Any reasonable accounting rules and regulations contain rules to ensure that financial statements comprise correct, non-arbitrarily originated values, and that the financial statements of subsequent years are comparable in substance and form. In the German Handelsgesetzbuch (HGB), these rules are referred to as “Generally Accepted Accounting Principles” (Grundsätze ordnungsmäßiger Buchführung, GoB). In addition, accounting standards are based on fundamental principles of valuation, i.e. 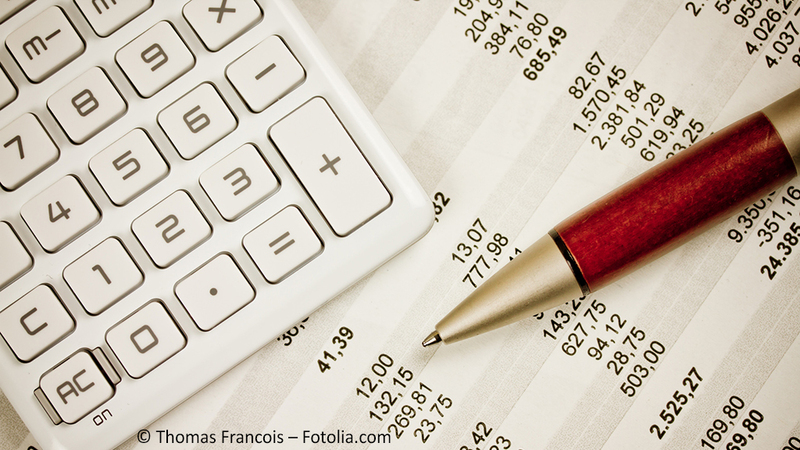 the prudence principle of the German HGB, or the “true and fair presentation” in accordance with IFRS (International Financial Reporting Standards). However, the following two principles serve as the basic pillars for the overall concept of accounting, both in the sphere of accounting relating to German commercial law as well as under IFRS and US GAAP (the US Generally Accepted Accounting Principles). In this article, the term “Going Concern” is explained from the perspectives of accounting and auditing. What Does Going Concern Mean? year 03: € 71,500 etc. However, if the going concern of this company is no longer possible to assume when preparing the financial statements, the amounts stated above, so-called “amortized cost”, may no longer be relevant for the measurement of the production plant in the financial statement since this value concept only provides a reasonable book value if the plant can continue to be used in production. What Does This Mean for the Duties of the Legal Representatives of a Company? The legal representatives (management or management board) must therefore first assess whether the going concern assumption – as the basis for accounting – continues to be appropriate before preparing the financial statements – or whether the company intends or needs to discontinue its business activities. What Circumstances Could Oppose the Going Concern? If there is no intention to discontinue business activities and if the company has achieved sustainable profits in the past, has easy access to financial resources and is not threatened with substantive over-indebtedness, the management has a simple task in assessing the appropriateness of the going concern. More elaborate considerations need to be made if the company’s financial and earnings position is strongly impaired so that the company’s going concern could be endangered from a financial, operational or legal point of view already for the upcoming financial reporting period. To this end, the management must weigh up the existing financial problems, slumps in sales markets, bottlenecks in factor markets, legal risks etc. against positive circumstances and make an assumption about the going concern. In order to make a careful assessment, up-to-date, sufficiently detailed and concrete planning documents will regularly be required here, which provide information on the expected future cash flows for a period of at least 12 months after the balance sheet date. What Would Be the Consequences If the Going Concern Premise Must Be Given up? A restriction of a company’s prospects of going concern, or even the approaching termination of its business activities, e. g. in the event of impending insolvency or planned liquidation, would make the accounting in accordance with the general valuation principles of sec. 252 para. 1 HGB problematic. Measurement concepts such as those required for the liquidation of a company would then have to be considered, at least for those parts of the business for which there is no restructuring plan. The focus of accounting would then no longer be on the accrual basis of accounting, but on the reliable determination of said net assets. This would mean that the consistency principle (continuity principle) could no longer be maintained. The measurement of the assets at their individual fair values (liquidation values) would have to be examined. This would, for example, prevent assets from being measured at amortized cost (see above), and according to the moderate lower of cost or market principle. The measurement of recognized goodwill, technical equipment, fixtures and furnishings, or vehicle fleets would have to be reviewed for their individual fair values, and financial assets that are still assessed at their acquisition costs would have to be written down to possibly lower market prices. Furthermore, the assessment of options to capitalize would have to be questioned, or its amount would have to be adjusted to liquidation values. This would therefore affect own produced intangible assets or capitalized low-value assets. The immediate release of a capitalized disagio to the income statement would, for example, have to be made dependent on the planned refund date of the corresponding loan. Anticipated costs connected to a premature termination of business operations should be provided for. This includes termination benefits and redundancy program obligations, prepayment penalties, remediation costs or contractual penalties. Consequently, there would be an extensive decrease in results, which reduce the net assets to an amount adequate to the risk. What Are the Tasks for the Auditor of the Financial Statements Resulting From the Going Concern Premise? Since the appropriateness of the going concern premise is a fundament for the financial statements, the auditor must assess adequacy of management’s judgment regarding the going concern as part of his financial statements audit. To this end, he shall already pay attention to indications of any facts that might jeopardize the survival of the company when planning the audit, as well as in its further course. His assessment of management’s judgment regarding going concern also includes reviewing the forecasting methods they use, the assumptions on which their planning is based, as well as the assessment of intended measures to avert or mitigate an emerging problem situation, such as reducing the number of employees, taking out or extending bank loans, reducing or postponing expenditures, taking out additional financing with shareholders, or selling assets. This assessment must be based on appropriate audit procedures, the nature and scope of which depend on the individual situation of the audited company. What Consequences Can Arise for the Auditor’s Opinion If Facts Exist That Jeopardize the Going Concern? If, in the event of indications of a threat to the going concern, the auditor still deems a positive forecast by the legal representatives appropriate, but there is considerable uncertainty in this respect, an unqualified audit opinion may be issued if the company has adequately and meaningfully presented the aspects that jeopardize the going concern and the existing uncertainties in its management report (sec. 289 HGB). 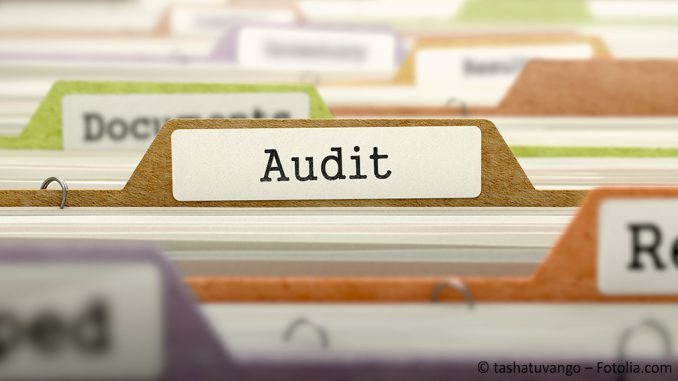 If the auditor considers the management report to be inadequate in this regard, he must qualify his audit opinion in terms of the management report. If, on the other hand, the auditor comes to the conclusion that the company cannot be continued, he must issue a so-called adverse opinion if the annual financial statements have been prepared on the basis of the going concern, since in this case one of the two pillars of accounting is lacking. In practice, when such a situation arises, the auditor will usually not close the audit with an adverse opinion, but halt the audit in order to allow the company some extra time to take measures to avert the threat to the going concern. However, this approach has the disadvantage that when the audit is resumed, the auditor’s assessment of all significant audit issues must be updated; it is not sufficient for the auditor to only assess the additional measures taken to avert the going concern. Is an Unqualified Auditor’s Opinion a Guarantee for Going Concern? No. Even if the auditor, on the basis of appropriate and sufficient audit procedures on the above-mentioned issues, comes to the conclusion that the positive assessment of the legal representatives with regard to the going concern is appropriate, this does not mean that future events or developments won’t result in jeopardizing the going concern at a later date. The opinion of the auditor therefore never provides absolute assurance. Prof. Dr. Katja M. Bubmann did an apprenticeship as industrial clerk at Siemens and afterwards studied economics at Ludwig-Maximilians-Universität in Munich. Afterwards, she worked as Research Associate at the economics institute of LMU where she also did her doctoral thesis.In 1993, she continued her career as an Auditing Assistant at audit and consultant firm KPMG. In 2004, she was appointed a Partner in the audit field of KPMG's Munich offices. There, Prof. Dr. Katja M. Bubmann was responsible for the management of annual audits of SMEs as well as huge client companies, amongst other things. She has been lecturing at Wissenschaftliche Hochschule Lahr as well as at Steinbeis-Hochschule Berlin. At MBS, Prof. Dr. Katja M. Bubmann has been a lecturer since 2007. Since 2016, she holds a professorship in Finance and Accounting. Regulation in the Platform Economy: Do We Need a Third Path?